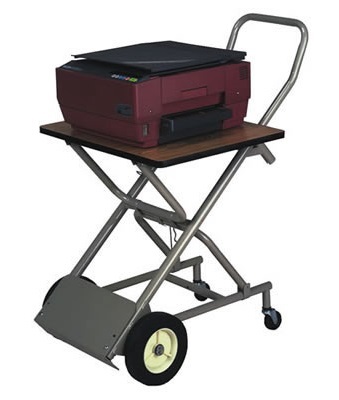 This Office Cart is a multi-purpose service truck that is ideal for offices and service vehicles. 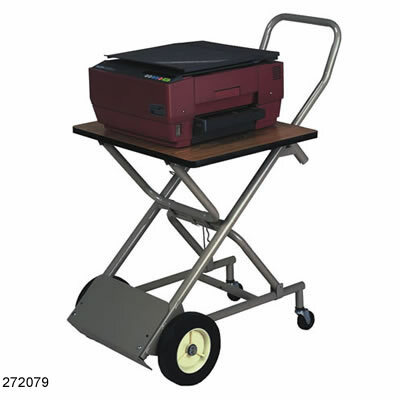 It easily converts for use as a four wheel rolling table or two or four wheel hand truck. Perfect for moving around computers/printers, a must for any larger size office! Height of table in table position - 32"
We use to lift printers. Excellent quality!